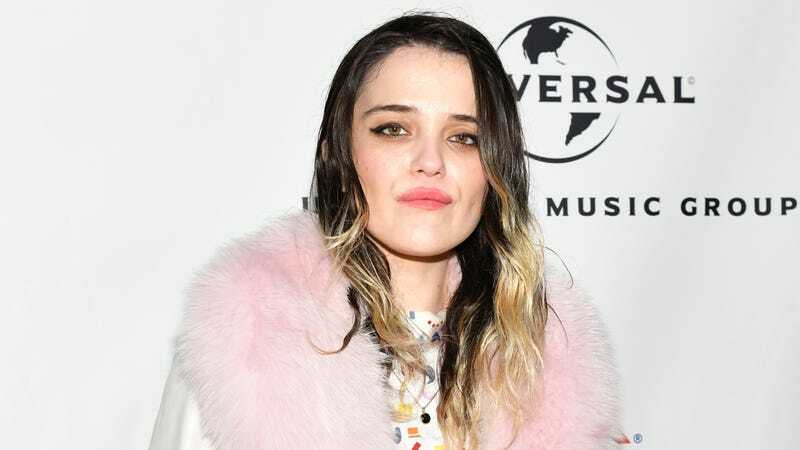 At long last, my personal Carly Rae Jepsen has returned: Sky Ferreira, the Twin Peaks-starring singer/songwriter and model has released her first new solo music since her fantastic debut album, 2013's pop masterpiece, Night Time, My Time. The song is called “Downhill Lullaby,” and it’s the lead single from her long-awaited sophomore album, Masochism. The track clocks in at around five-and-a-half-minutes (considerable length for a comeback single) and has a haunting string section that reminds me of the Verve’s 1997 hit “Bittersweet Symphony,” if only it were recorded in hell. Around the 18-second mark, a deep, descending bass lick kicks in, not unlike the kind popularized by ’80s post-punks Sister of Mercy; it carries throughout, grounding the song in abyssal darkness. Thus begins the era of Goth Ferreira.